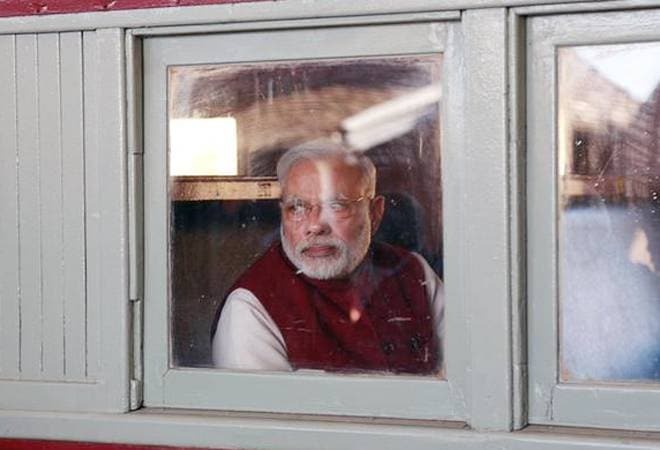 Since Prime Minister Narendra Modi stormed into the capital's South Block in end-May 2014, he has reportedly made 84 trips around the world, which cost about $280 million (over Rs 2,010 crore), according to the government. The above information was provided by Minister of State for External Affairs V.K. Singh in Parliament, in a response to a lawmaker's question, Bloomberg reported. The travel bill cited above included the cost of maintenance on the Prime Minister's aircraft and setting up a secure hotline. In the past four-and-half years, Modi has set a gruelling pace of foreign travel. He has not only visited strategically important nations like the US, China and Japan multiple times, but also made first-ever visits to several countries at the head of government level in a bid to boost India's influence in global affairs. The report added that while some of Modi's trips were hailed as diplomatic successes - like the informal summit with Chinese President Xi Jinping in Wuhan, which was seen as ushering in a detente between the neighbours post the tense face-off over Doklam in 2017 - others raised eyebrows. For instance, in 2016, he visited Japan immediately after his surprise demonetisation announcement, which led to much chaos in the country. This had prompted accusations by the Opposition that he was busy globe-trotting while ordinary Indians were struggling. In July, the PTI had reported that as per government data, a total of Rs 1088.42 crore was spent on maintenance of the PM's aircraft and Rs 387.26 crore on chartered flights during the period between June 15, 2014 and June 10, 2018. The total expenditure on hotline facilities was Rs 9.12 crore, not including foreign visits in 2017-18 and 2018-19. Since June, Modi has visited several more countries, including Singapore, Maldives and Argentina in November alone, so the bill footed by taxpayers is actually much bigger.